The Australian vehicle finance market is evolving, with increasing levels of competition as banks, brokers and dealers all try to win in this space. The 5th Edition of the ACA Research Automotive Finance Insights Report will help you understand the needs of Australian consumers, unpacking the changing nature of their customer journey, exploring the increasing role of finance brokers, and identifying key in-dealership moments of truth. 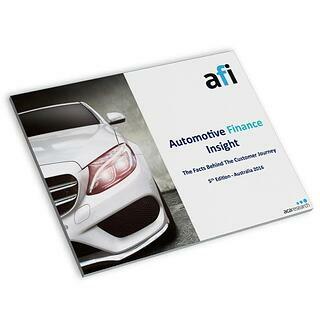 The report contains over 140 pages of in-depth analysis and insight into the automotive finance market. ACA Research surveyed nearly 800 automotive finance customers throughout Australia, covering new and used car buyers across a variety of vehicle brands and price ranges. The full 143 page report will provide you with the most extensive and valuable insight into the Australian automotive finance marketplace with key vehicle market research. There are a number of actionable Australian automotive market research insights for business including dealers, banks, brokers, finance, and producers. By registering below, we'll send you a copy of the Snapshot for free. The Snapshot contains 10 actionable, pull-out, insights from the original report.